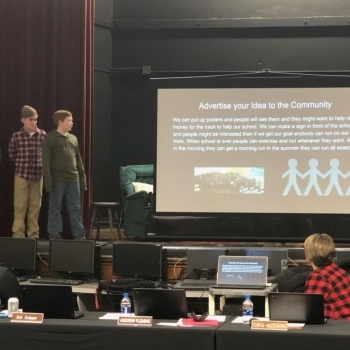 The three finalists groups selected for their Project Based Learning work present their proposals for extending Schenck Elementary's Outdoor Education Project during January's School board Meeting. 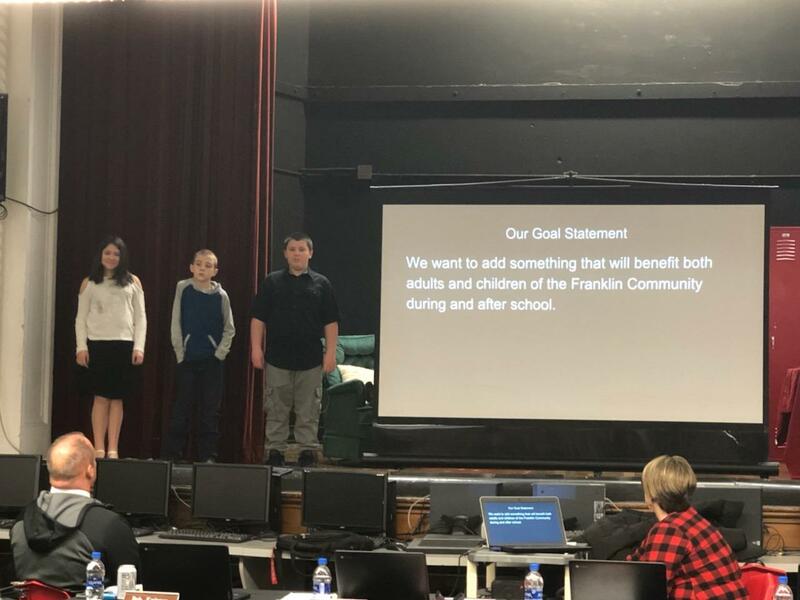 In October, fifth grade teacher, Mrs. Jenni DeHart, and third grade teacher, Mrs. Kimberly Irgens, participated in a series of Project Based Learning (PLB) trainings, so that they could implement this model in their classrooms. 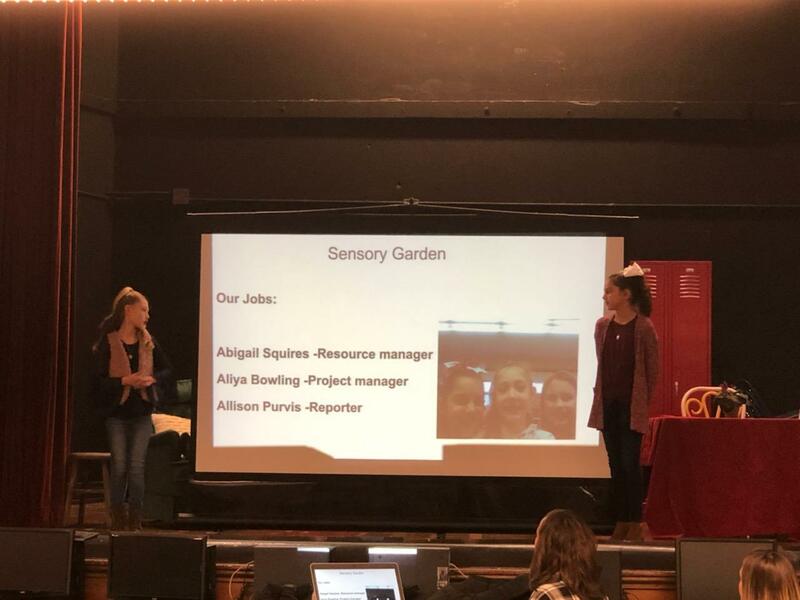 PBL is a teaching method in which students work for an extended period of time to investigate and respond to a complex question, problem or challenge. 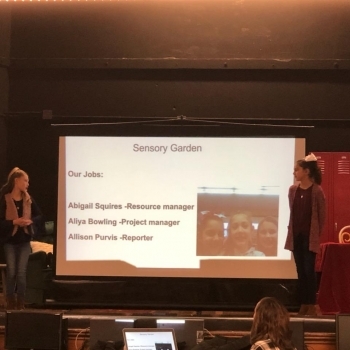 The teachers worked together to develop an extensive and authentic multidisciplinary unit to extend Schenck's Outdoor Education initiative, and began this project with their classes in November. All students worked in teams with specific roles and jobs. 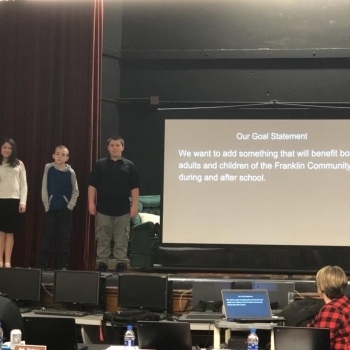 Then on January 11, each team presented their project to their peers, as well as to a panel of judges, consisting of principals, Mrs. Meek, Mrs. Truesdell, and Mrs. Kienle, Schenck staff member, Mr. Wainscott, and the District's Assistant Superintendent, Mrs. Donisi. 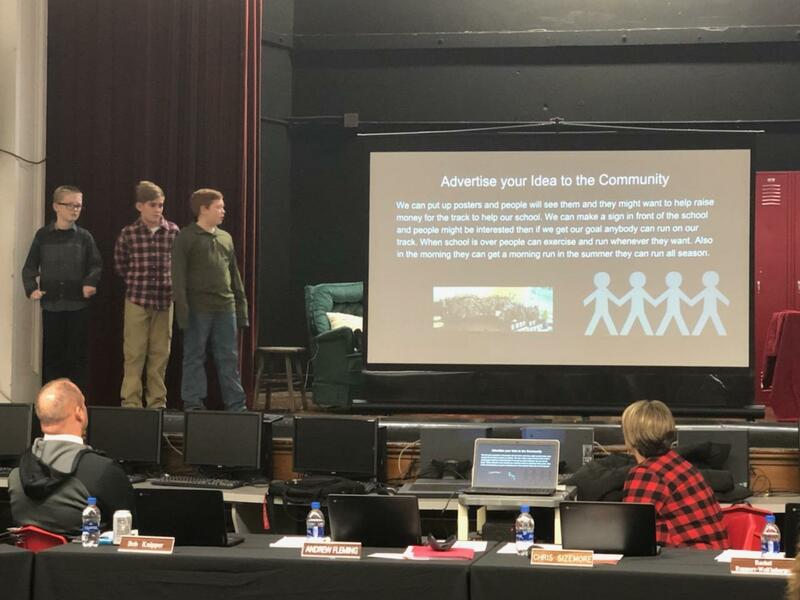 The three finalists groups selected for their Project Based Learning work presented their proposals for extending Schenck Elementary's Out door Education Project during January's School Board Meeting.